A whole generation of Syrian children risks being lost amid the spiralling civil war in the country, the UN children's agency cautioned Tuesday, saying it was in urgent need of funds to address the crisis. "Millions of children inside Syria and across the region are witnessing their past and their futures disappear amidst the rubble and destruction of this prolonged conflict," UNICEF chief Anthony Lake said in a report published two years to the day after the Syrian conflict began. The Geneva-based agency pointed out that nearly half of the four million in dire need of aid inside Syria are under the age of 18, and 536,000 of them are children under the age of five. Some 800,000 children under the age of 14 have meanwhile been internally displaced by the conflict, while more than half a million children are refugees in neighbouring countries, it said. 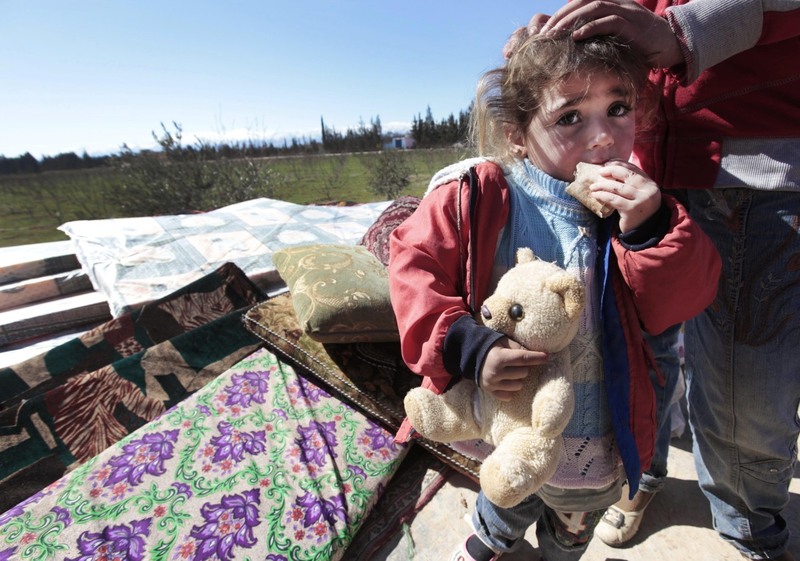 "In short, the crisis is reaching a point of no return, with long-term consequences for Syria and the region as a whole, including the risk of a lost generation of Syrian children," UNICEF said in its report. The agency stressed that it was severely underfunded to help all the children in need, warning that it will have to "halt a number of key life-saving interventions by the end of March 2013" if it does not receive more funds. UNICEF said it so far had received only 20 percent of the $195 million it had appealed for to help children and women affected by the crisis in Syria and in neighbouring countries through the end of June. "Countless children suffer from the psychological trauma of seeing family members killed, of being separated from their parents and being terrified by the constant thunder of shelling," Lake said, adding that access to clean water, adequate sanitation and health care is becoming increasingly scarce. "All around them, their dreams and opportunities for the future are being lost," Lake said.